I had a marvelous time on Saturday morning teaching a lovely group of knitters the joy of stranded color work. As I told them, I have an ulterior motive in teaching as many knitters as I can the thrill of knitting with two colors. I am a knitwear designer who designs almost exclusively in stranded color work, so the more knitters I can bring into the fold…well, you do the math. I always learn so much when I am teaching. Isn’t that true of any type of teaching? I have taught this class about 7 times and they were able to still make me see things in a new light. Fascinating. We worked on the Monomoy Cowl. It is a new design and I also included a pattern for a pair of matching mittens. The yarn is Kenzie by Hikoo. A worsted weight blend of Merino, Angora, Alpaca, Nylon and Silk, it is a scrumptious yarn. 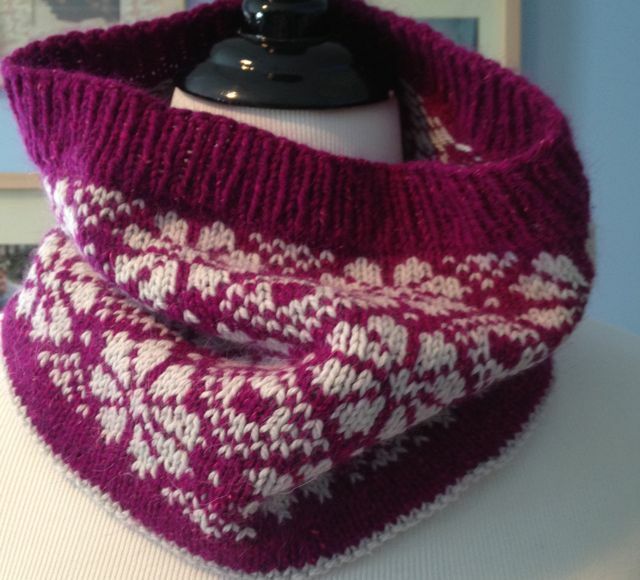 I have made two Monomoy Cowls, one for the shop/class and one for me to test while running in this frigid weather. It worked like a charm. Kept me so warm on my single digit runs that my glasses fogged up. My hands were too warm in the mittens and I ended up removing them a few minutes into my run. Can’t recommend this yarn enough. But you must give it a warm soapy bath and let it bloom. The ladies caught on in no time and suddenly they were interested in sweaters and accessories they never would have considered. (See what I mean about ulterior motives.) 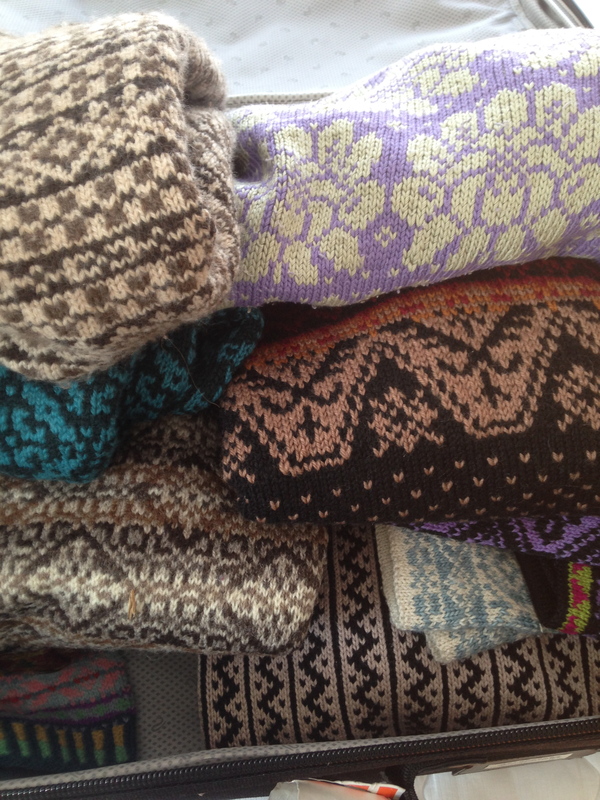 I always bring a huge selection of color work sweaters, hats, mittens, baby sweaters and books. I love it when there is lots of inspiration in a class, so I hope they felt inspired. We laughed and kibitzed and mostly enjoyed each others’ company. The best part of a knitting retreat, right? Busily working on a few other new designs behind the scenes. I’ll keep you posted.